Nokia 7.1 Announced With Snapdragon 636, 5.84" Notched IPS LCD Screen & More - AndroGuider | One Stop For The Techy You! 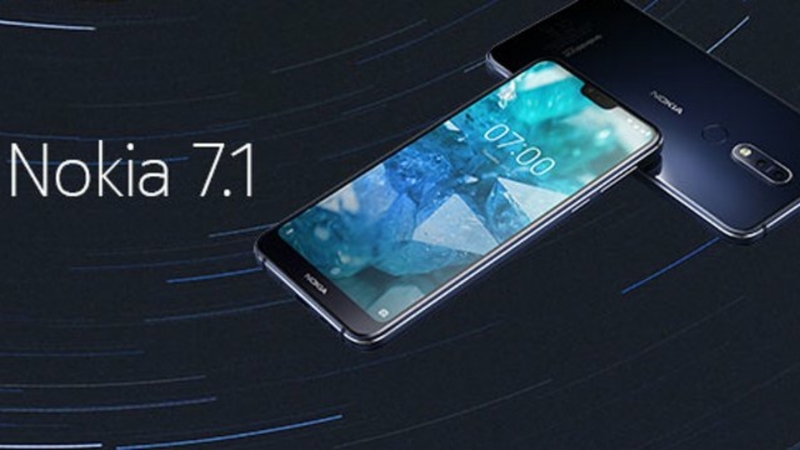 HMD Global has just taken wraps off the Nokia 7.1. As other recent Nokia handsets, the Nokia 7.1 is a part of the Android One program. The device runs Android 8.1 Oreo out of the box and it will be updated to Android 9 by the end of November. Following the Pie update, the Nokia 7.1 will see major Android updates for two years and security patches for three years. This, in theory, means that the Nokia 7.1 will be updated till Android R.
The Nokia 7.1's highlight is its 5.84" 19:9 notched IPS LCD with Full HD+ resolution and support for HDR10. HMD Global's Juho Sarvikas stated at the launch event that the Nokia 7.1 has a special chip that was built in partnership with PixelWorks. It is through this chip that the Nokia 7.1 supports HDR10. The Nokia 7.1 can convert standard content to HDR10 in real time, and this not only includes media content, but apps and games too. The Nokia 7.1 has Qualcomm's Snapdragon 636 at its heart. The mid-range processor is coupled with 3GB or 4GB RAM and 32GB or 64GB internal storage. There is support for storage expansion via microSD. Going to the cameras, there are two on the back and one on the front. The primary shooter is a 12MP f/1.8 ZEISS sensor with 1.28-micrometer pixel size. The secondary camera is a 5MP telephoto lens. The selfie camera is 8MP with f/2.0 aperture. The Nokia 7.1 will start from $349 / €319 (Rs 25,800) and can be pre-ordered starting October 5 from Amazon, BestBuy and B&H in the US and the UK respectively. The higher 4GB/64GB variant costs €349 (Rs 29,700). The phone will be fully available online from October 28, and in-store availability begins on November 4 via BestBuy. The colour options include Gloss Midnight Blue and Gloss Steel.